Topics likely to be raised include India’s foreign and defence policies, economic ties between the UK and India, India's stance on global governance issues, the issuing of UK visas to Indian nationals, the UK's diplomatic network in India and the Indian diaspora in the UK. This session will explore issues around the Russian energy firm En+ including its 2017 listing on the London Stock Exchange, the 2018 sanctioning of its owner Oleg Deripaska by the United States Treasury, and the process of removing Deripaska from the company. The challenge from autocratic states today is something that all democracies, including the UK, have to face. We must protect the interests of our open societies and political systems from interference with our lives at home or attempts to undermine the international order that has helped us prosper. In recent years this has been made clear by Russian state actions threatening UK national security – but this is a broader issue, spanning many countries and demanding a whole of government response from the UK, as well as close cooperation with allies and like-minded states. The Committee will examine the relationships the UK has with autocracies, as well as the ways in which autocracies interact with the rules-based international system. We will look at a wide range of themes, including the effects of new technologies and the role of energy and resources as a tool of influence. We want to know whether the UK government has the right approach to this challenge, whether the FCO is playing an effective role in shaping that approach, and what more the UK can do to work with its allies and partners. This session considers the ways in which China’s domestic affairs interact with its foreign policy, and the implications for UK engagement with China; and the present status and future of Hong Kong, including the UK’s role and responsibilities. Britain’s diplomats and Foreign Office have been among the best in the world and one of the jewels in the crown of the British civil service. Recently, the Committee has had cause to question that. Our Reports have documented a lack of clarity about the Government’s flagship policy, Global Britain; concerns about levels of staffing across EU member states and specific failures of diplomacy such as the 2017 elections to the International Court of Justice. All of this prompted my Committee’s inquiry into skills at the FCO. To maintain and strengthen our place in Europe and the wider world as we prepare to leave the EU, we need an agile and experienced Foreign Office and that means hiring and keeping the best staff. The prestige of the Foreign Office as an employer hangs in the balance. 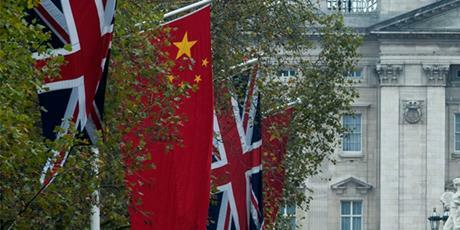 The Foreign Office needs to make sure it has the skills required to deliver ‘Global Britain’. As things stand, we believe the FCO faces a considerable challenge to ensure it has the skills it will need for diplomacy after Brexit, in Europe and beyond. This session will consider the FCO’s priorities and expenditure for the year ahead, including how it will give effect to the Foreign Secretary’s ‘Invisible Chain’ vision. The UK cannot afford to be complacent. Unexpected defeats in recent UN votes and elections require the Government to be more focused on seeking support from countries which share our values and winning over those in the middle ground. The UN human rights system is facing a backlash from those who seek to undermine it; the Government must step forward with a clear strategy and measurable goals for strengthening the system and maintaining UK influence. As the UK seeks new trade agreements, it will be faced with questions over how to balance rights with trade and security. There is little clarity on how the Government plans to handle these questions. Parliament and the public require reassurances about how the UK will engage with countries that commit grave violations of human rights. Engagement with countries such as Burma risks sending the wrong signals. Making human rights a priority is in all of our interests. 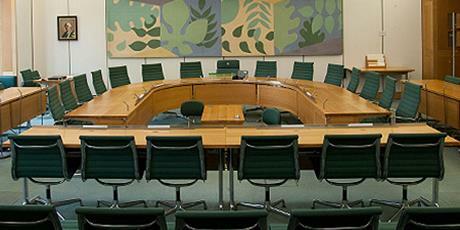 In this evidence session, the Committee considers subjects covering the range of the Foreign Secretary’s responsibilities. Article published in the Süddeutsche Zeitung on 6 July 2018. In the two years since the UK voted to leave the EU, I have spent a long time speaking with European partners. From my conversations, one thing stands out – the shock caused by the vote, and the disappointment that has followed it, have distracted people from thinking about the fundamental implications of Britain’s departure for European politics, and the opportunity – in fact, the imperative – it creates for reform. I see this particularly when I talk to German friends. Their reactions vary from indifference to antagonism, often tinged with grief when they describe the UK’s departure and see it as a threat to EU unity. I understand their position, but few of them seem to have appreciated an important point. While the European Union is first and foremost a political project designed to create unity, there are some hard facts, which we cannot ignore, that threaten the stability of the EU. Brexit will remove the country that sent the third largest contingent in the European Parliament after France and Germany, was the second or third largest contributor to the EU’s budget, and a vocal supporter of free markets, sound finance and the rule of law. The UK’s departure will upset the balance of the EU’s budget and voting system, with consequences that are unpredictable. Let’s start with the budget. The UK’s net budget contribution is about €11 billion – which is equivalent to what 12 out of the budget’s 17 net recipients take home. Although the final shape of the UK-EU withdrawal agreement, and of the first post-Brexit EU budget, have both still to become clear, unless there is a sudden change of heart among the remaining net contributors, the loss of part or all of the UK’s contribution is bound to move the dial: some of today’s beneficiaries will become contributors in future. They will undoubtedly want a greater say in how their money is spent. And that in turn will reopen questions many thought settled in Maastricht and Lisbon. Brexit also affects the voting system in the European Council. Over time the EU’s voting system has evolved, in a way that is deliberately designed to erode any member states’ power of veto. The latest version, which was devised when the focus was on profligacy and integration and not Brexit, requires 55 per cent of EU member states, representing 65 per cent of the total population, to produce a qualified majority. Conversely, a coalition of at least 4 member states, representing 35 per cent of the EU’s population, is required to block any proposal. This formula acknowledged that Germany, France and the UK are the most powerful states in the EU but gave the smaller states bargaining power by assuming that the three biggest players are rarely in unanimous agreement. This was a carefully constructed, and finely balanced, system, designed to produce stability. But take the UK out and the pivot point moves. One fewer state is needed to produce a majority, but the population they must represent falls by about 40 million. Four states are still needed to block legislation, but the population they have to represent falls by 20 million. The exact consequences of these changes are hard to predict. What seems most likely is that, as the next most populous states, Italy and Spain will step into the UK’s shoes as major EU power brokers, assembling coalitions of smaller states to advance their own interests, perhaps in concert with France. The new government in Italy may last no longer than its predecessors, but the turn that Italian politics has taken looks significant. A growing role for Italy in EU decision-making may affect the stability of the organisation as a whole. In short, Brexit isn’t just about Britain. The EU 27 is not the EU 28 minus 1. Britain's departure rewrites the power dynamics of Europe creating a whole new organisation with a centre of gravity that has shifted south. It is easy to see how that might change both how the EU makes rules, and how they are applied. It is hard to see how that won’t deepen the tensions on financial questions, Russia, migration, and the rule of law, that are already so obvious today. This is a major threat to the future stability of the EU. But the Commission shows no sign of recognising that its role is to support the interests of the citizen and the businesses and structures they create, not simply to defend its own position. Seen from London, it seems like the Commission’s priority in the Brexit negotiations is to punish the UK for leaving, when it might acknowledge that Brexit is a symptom of much deeper problems, and an opportunity to reform the organisation. Doubling down in the defence of a set of rules that some states no longer see any danger in flouting, and which no longer work for the citizens they’re supposed to serve, is not the answer. Before I entered politics, I was a soldier. In the Army, we were told you should never give an order that you know will be disobeyed. It only shows you to be weak. The Commission is in danger of undermining itself because when people no longer respect the rules, they will bend or break them. When the rules no longer matter, the Commission has no role. If the project you started is to survive, you have to rewrite those rules, or look for a new structure to organise Europe. So far, only France’s President Macron seems to have realised that this can be a moment to rethink and renew. He has set out a bold vision and, though I don’t agree with his conclusions, (and nor it seems, does Chancellor Merkel, reading between the lines of her recent interview on this subject) Macron’s belief that substantial reform is now urgent is becoming increasingly hard to deny. No amount of greater centralisation could suit German, French and British interests and it seems unlikely that it would meet the wishes of those countries already resisting EU rules. The Commission, like Britain, is at a crossroads. One path leads to the flexibility people have been calling for across the continent, the other to a stasis that puts the rules ahead of the people, hastening its collapse. For the sake of all of us who want to see a stable European order, it’s important the EU and its member states make the right choice. The Foreign Affairs Committee is examining what action the Government can take against the proceeds of Russian corruption being funnelled into the UK. This was an incredibly interesting enquiry and raised some rather interesting and thought-provoking points. To read the paper in full, please click here. This month we visited Washington DC to hold talks with a number of Senators and specialists about our Foreign Affairs policy, before going to visit the UN. It was a fascinating trip, and good to spend time with our American counterparts. Today we gathered oral evidence from the Foreign Secretary about his responsibilities, particularly in the aftermath of the Salisbury incident. To read more, please follow the link here. This inquiry asks the Foreign and Commonwealth Office (FCO) to account for exactly which Kurdish groups the UK has supported in the war to defeat Daesh and why, what support has been given, and how it might affect the situation on the ground. To watch me discuss it in the house of commons, please click here. Today our latest report, entitled 'The future of UK diplomacy in Europe' was published. This inquiry explored the future of UK diplomacy towards the EU and its Member States, particularly in the light of the Prime Minister’s proposal for a new UK-EU ‘Security Treaty’. It focuses on the FCO’s role and effectiveness in developing a coherent strategic approach to diplomacy towards Europe after the UK leaves the EU. Today I had the privilege of making a statement to the House of Commons on the Foreign Affairs Committee’s first report. We investigated Violence in Rakhine State and the UK’s response, focussing on the effects of the recent atrocities in Myanmar (Burma), and the response of the UK Government to the horrific violence. The evidence from people including ministers and NGOs made it clear the Government deserves credit for its quick and generous response of humanitarian aid, but we are calling for a more coordinated response. We would like to see targeted sanctions and regional cooperation and though the Government achieved a strong Presidential Statement from the UN, we could do more. We are also calling for the Foreign Commonwealth Office to conduct its own analysis of the legal situation so that we can bring others together. You can see the video of the statement below and read the report here: https://publications.parliament.uk/…/c…/cmfaff/435/43502.htm. Parliament’s Foreign Affairs Committee wore Marigolds today in recognition of India Remembers which happens on 7 Dec. It’s the Indian version of the Poppy for Remembrance Sunday. Generations of Indian soldiers, sailors and airmen have displayed extraordinary courage fighting alongside British forces. We are eternally grateful for their valour and sacrifice. Our first foreign visit as a committee was to Ireland. This trip, planned to give us a better understanding of how we should think about the relationship we will have after we leave the EU, has been fascinating. Through conversations with former president Dr Mary McAleese, who was a key player in the peace process, and foreign minister Simon Coveney we have learned about the current stresses on the peace process and the importance of the borderless frontier. Staying over in Cavan we heard from the council leaders, TDs and businesses about the challenges they face and how our foreign policy and can address some of these issues. Our sister committee in the Dáil helped us hear about the many further areas we could work together.